Inviting front porch welcomes everyone. 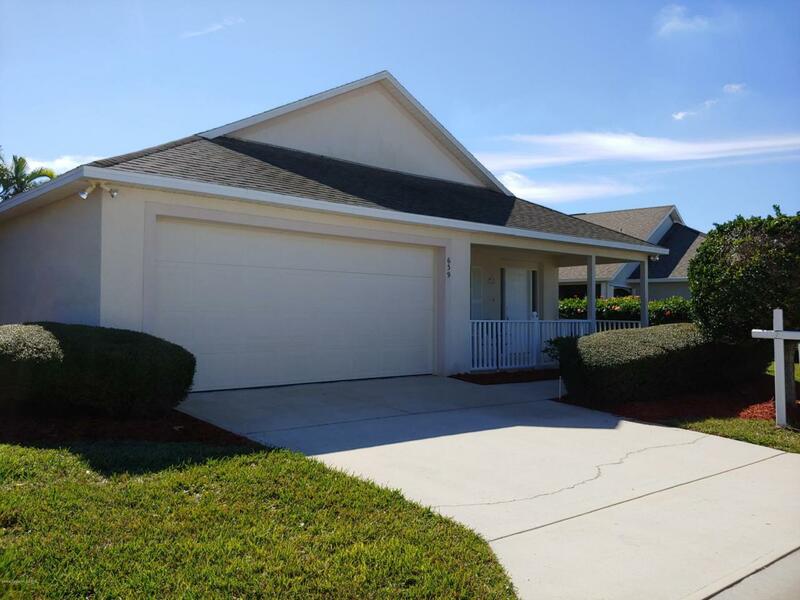 The open, spacious floor plan offers two living areas and open eat-in kitchen, all with vaulted ceilings which provides a great space for entertaining and plenty of options for design choices. 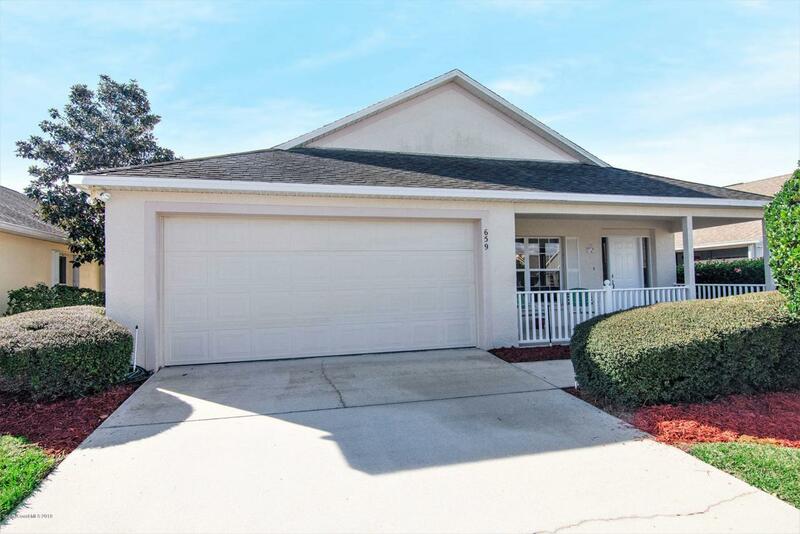 The split floor plan maintains your privacy when you have visitors .A new AC was installed in 2017 and garage door opener in 2018. 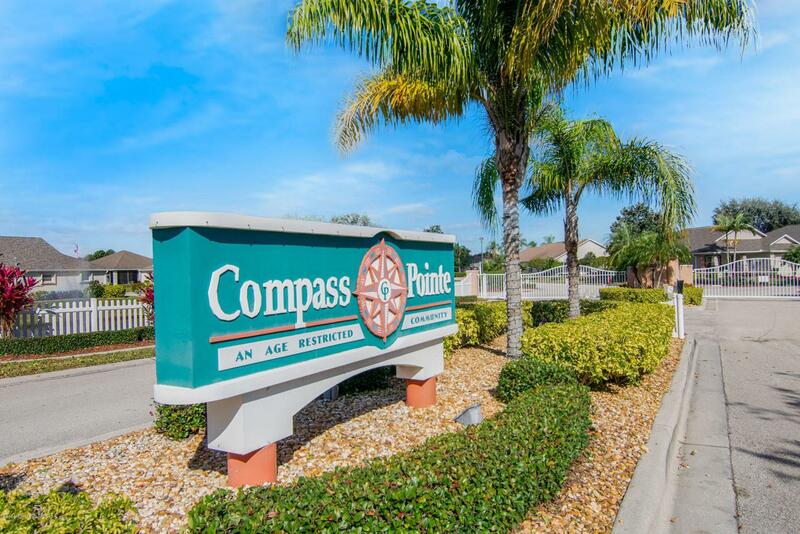 Compass Pointe completes the Florida lifestyle by providing well maintained common areas and activity areas such as great walking paths, shuffleboard, horseshoes, a beautiful heated, screened- in pool with hot tub, and club house with exercise room. 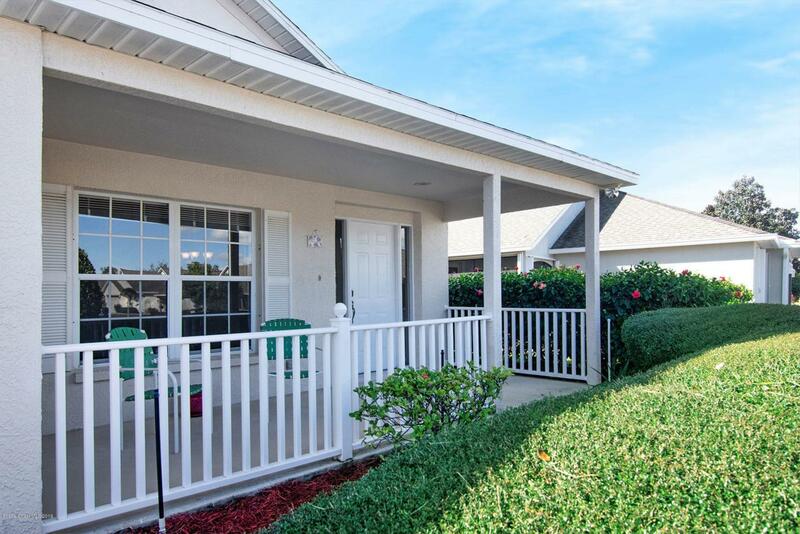 This active 55+ gated community is located very close to shopping, restaurants, and the beach. Listing provided courtesy of Ahr Real Estate.